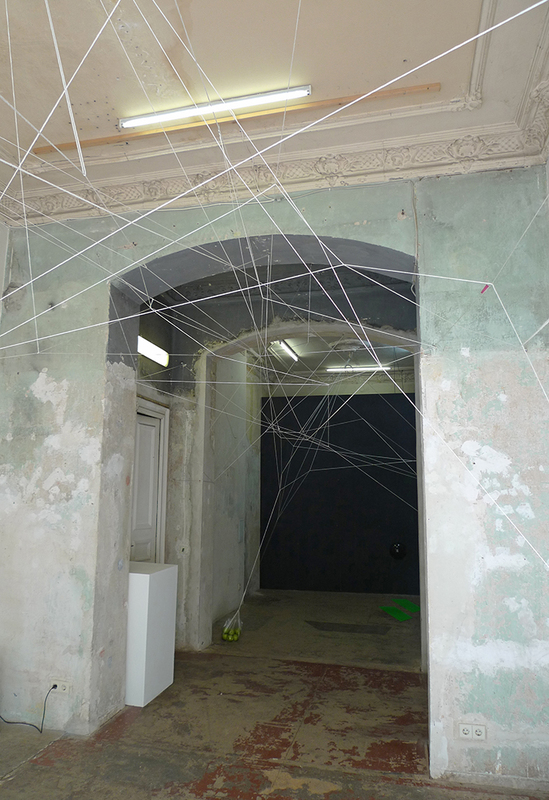 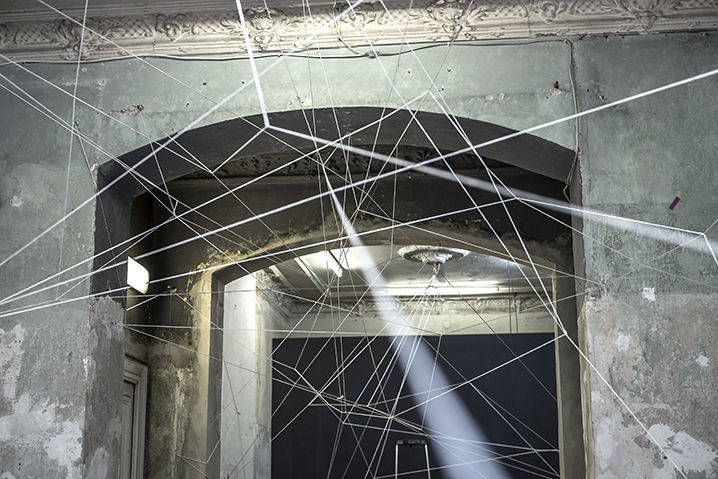 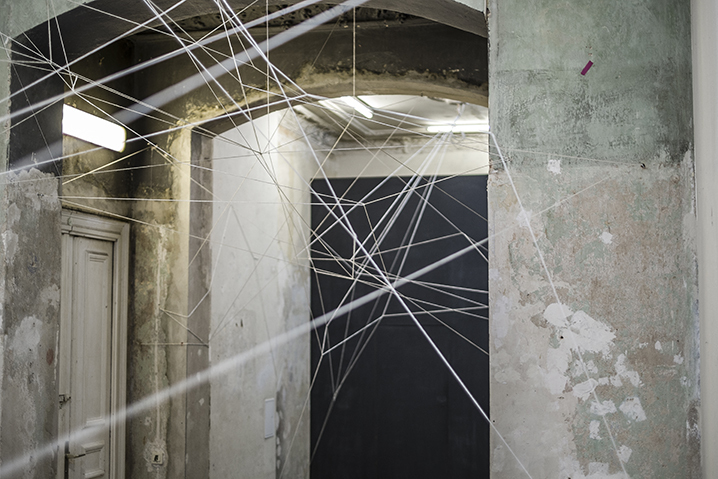 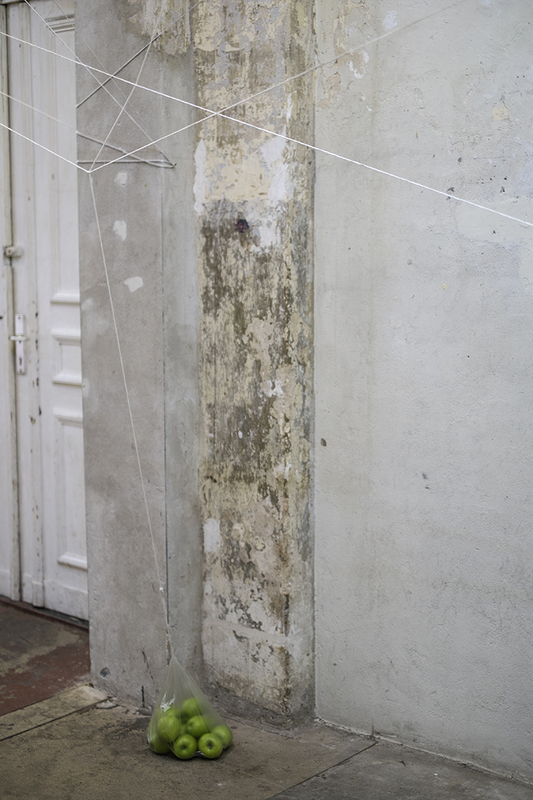 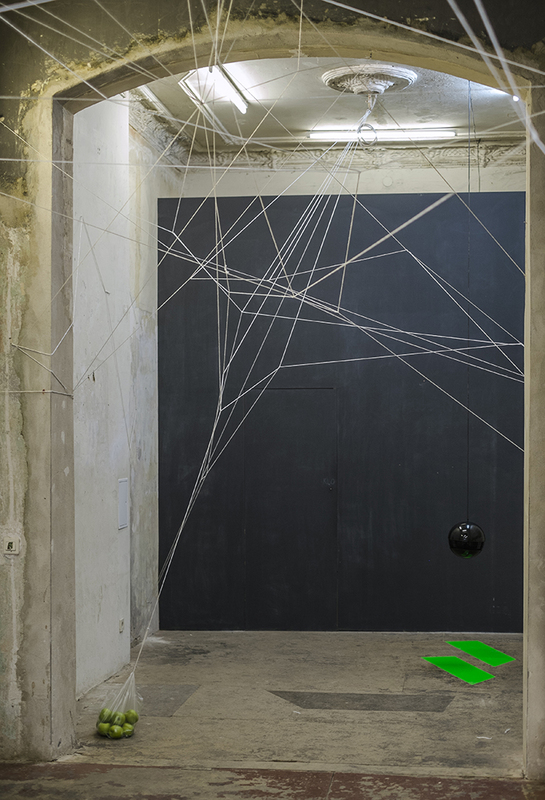 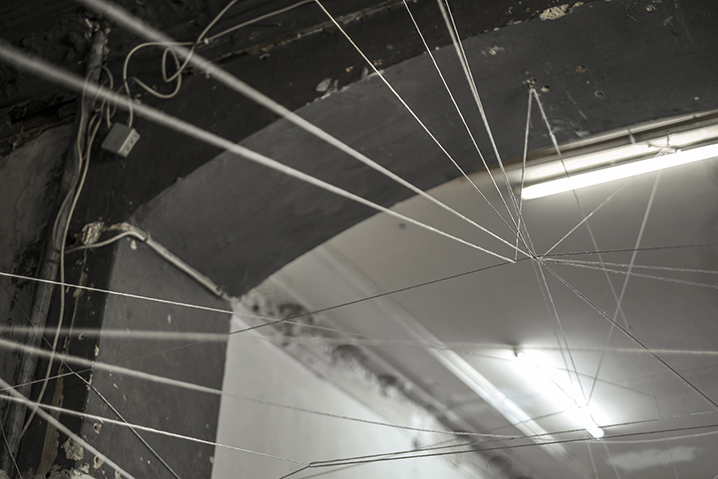 Installation in project space tête in Berlin, 2014. 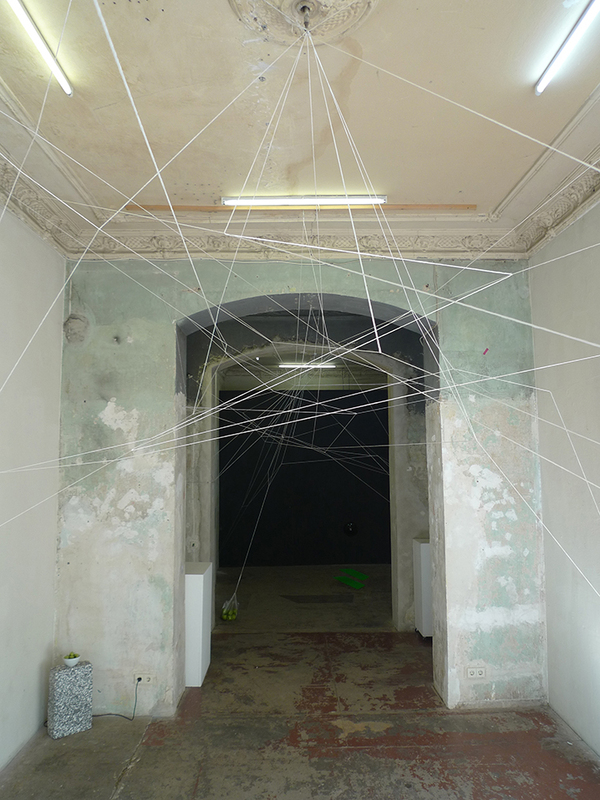 The screws and nails left behind from previous exhibitions where connected with one long nylon string. 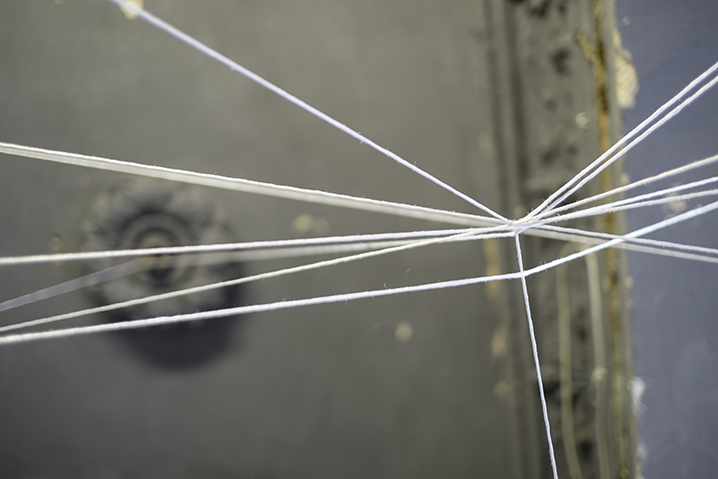 A plastic bag filled with apples was used as a weight to keep the tension on the string.